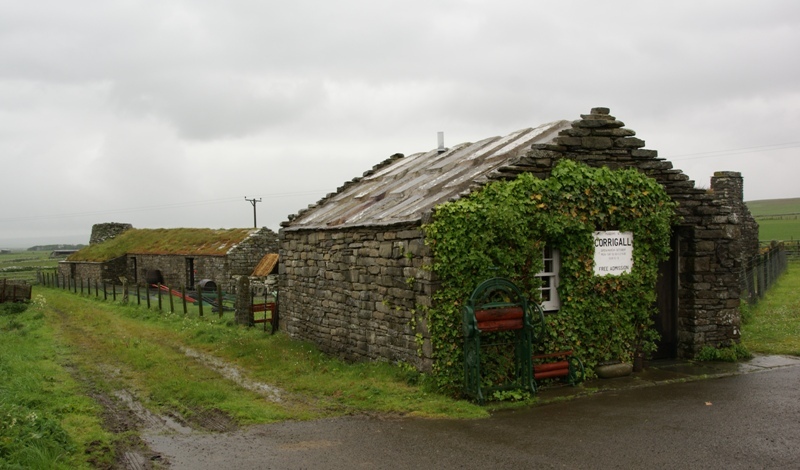 Corrigall Farm Museum is located on the mainland of Orkney, fourteen miles northwest of Kirkwall. It is set in a group of 18th century stone buildings, that have been restored to appear like victorian farm buildings. 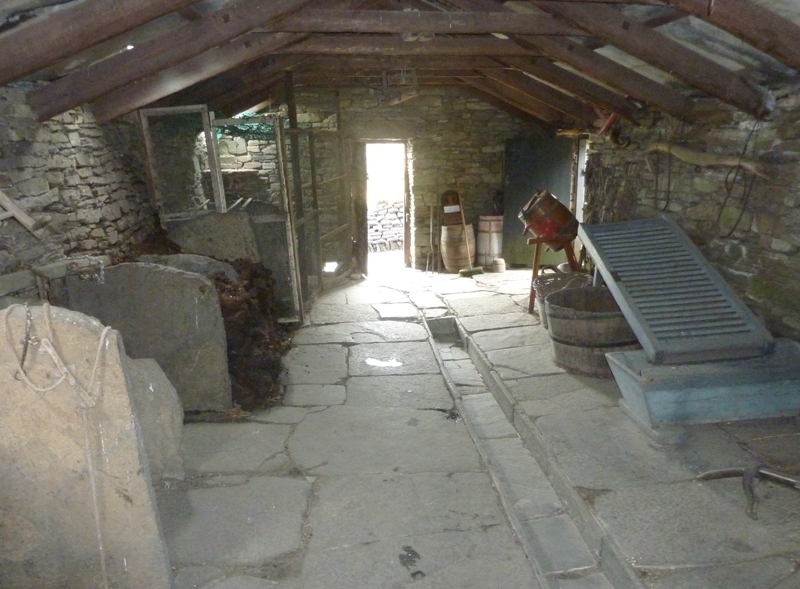 The museum gives a glimpse of traditional rural live and farming in victorian Orkney. The house is a two room cottage with a traditional turf and heather thatched roof, characteristic of the time. True to the period, a peat fire is keeping the house warm and cosy. Apart from the farmhouse there is also a barn, which contains stables for the horses at one end. At the other end there is a kiln for drying grain. There is also a byre, which has a channel in the middle to wash away muck. The exhibition contains everyday items, that would have been used in a victorian Orkney farm, including a two hundred year old parish loom. Children can get close to farm animals and try different hands-on activities. There are also demonstrations of farm skills throughout the day. 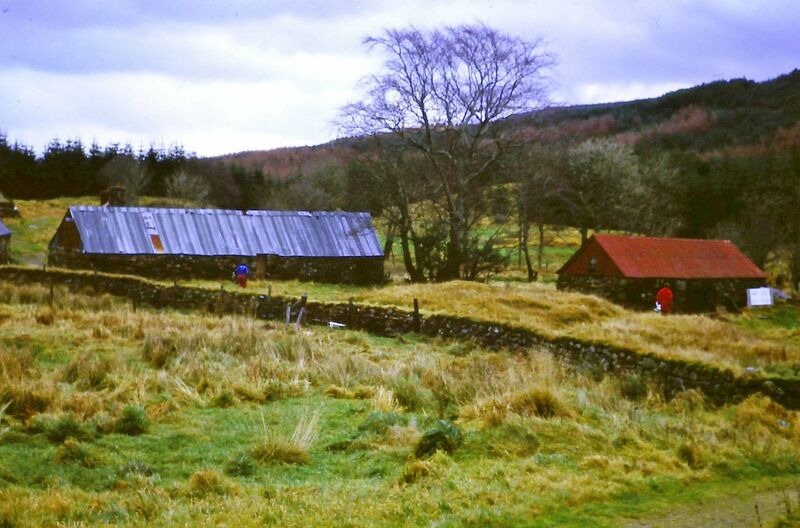 Auchindrain is located an hour and a half from Glasgow, six miles south on Inveraray. The museum is on a twenty-two acre site in the breathtaking countryside of Argyll. It is a former township, containing the houses and outbuildings of a small farming community. The townships developed so that people could survive in the inhospitable environment of the Highlands with its wet and cold climate and poor soil. They consisted of a handful of families, who supported each other and shared the land where they grew their food and bred cattle, and later sheep, that they would sell to the Lowlands, as rearing them in the Highlands would have been unsustainable. There were once many of such townships in the Scottish Highlands. The harsh Highlands made life in the townships very hard. Food and money were always scarce and people had only very few possessions. The museum grants an authentic insight into this part of Scotland’s past and creates a powerful impression of how ordinary farming folk lived. The exhibits in the restored longhouses show everyday objects, that people would have used at the time of the townships. There is also a byre and some stables to explore. The surrounding fields still give an impression of how the people of the township worked together to make a living. This award-winning museum was the first open-air museum in Britain and consists of traditional buildings, that have been brought here from across the Highlands. It gives an authentic picture of how people played, learned, lived and worked throughout the history of Highland farming. Costumed characters can often be seen demonstrating traditional skills and crafts.